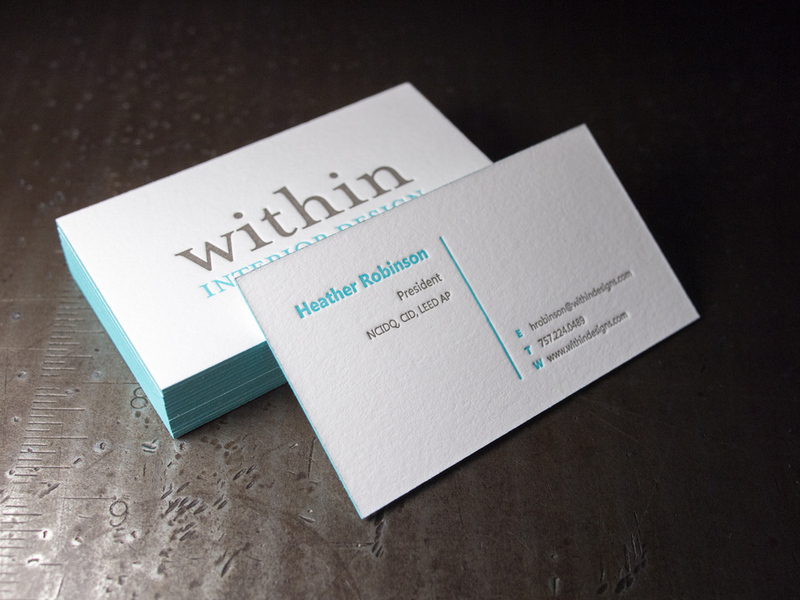 Check out these beautifully understated two-color, two-sided cards for Norfolk's Within Interior Design. For each of the eight women at the firm, we printed turquoise and warm gray inks on thick 600g Fluorescent White Lettra and added turquoise edge paint to match. Posted in business cards and tagged with edge painting, turquoise, warm gray, 600g, Lettra, fluorescent white. February 9, 2016 by Travis Friedrich.